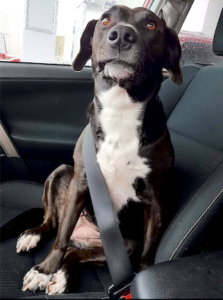 Additional Notes: Bella is black with white markings and is very friendly. She is about 6 years old 50lbs. Female. She has had puppies years ago. Kind of tell she has. She is spayed now. Missing at Exit 19. Parking garage off the old hwy 104. Right beside the salt spring park.